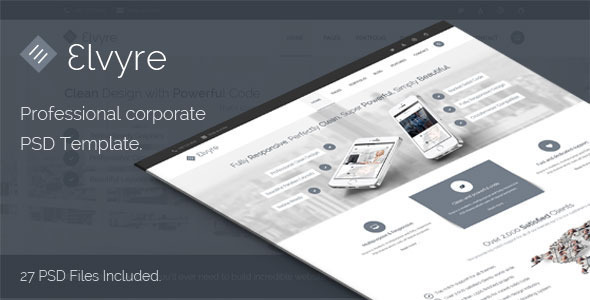 Elvyre is clean, modern and professional business PSD template. It is perfect for professional corporate website. It is jam packed with various design layouts, giving you endless options of arranging your contents. Elvyre was made eith Adobe Photoshop CS5 and is compatible with that version. Images – Other images presented in the theme was bought on 123rf.com and photodune.net and are not included in the download version. If you’d like to use the same images, simply drop us ane mail and we’ll send you links where you can buy them.